I am a BIG fan of Clinique Chubby Sticks for Eyes. 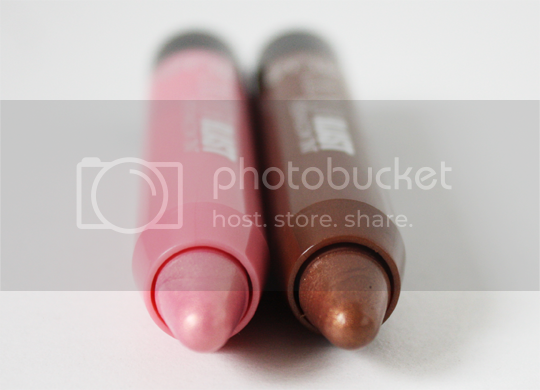 Cream eyeshadows and eyeshadow pencils are some of by biggest beauty weaknesses, and Clinique’s chunky pencils are the cream of the crop. Now, we know that high street bargain kings MUA are a dab hand at replicating high-end products at serious bargain prices (case in point, the Undressed palette). 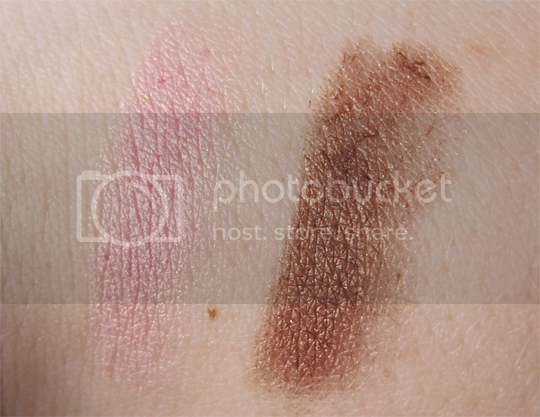 Well, meet the MUA Colour Blast Eyeshadow Tints* – a selection of six eyeshadow pencils which are clearly designed to be dead dupes of six of Clinique’s pricier offering. Here, I have the shades Bring it Back (fudge), and Diamonds (pink). Randomly, all the shades are named after Rihanna songs – can’t quite figure out why! So, let’s cut to the chase. MUA are undeniably very good at copying colours, but – understandably, due to the cheap manufacturing and selling prices – the formulas often fall a little short. 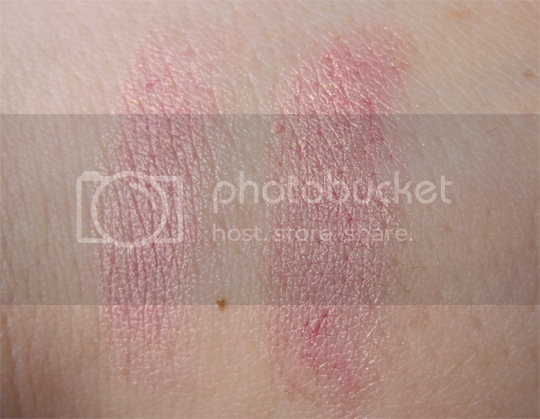 You can see from the swatches that Diamonds is the exact same colour as Clinique’s Chubby Stick in Pink & Plenty, but you can also see in the first swatch that Bring It Back is a little patchy. The application is okay, not bad but not awesome either. The lasting power isn’t much to write home about either, with colour fading and migrating to the crease within about 4 hours – I managed to extend it to about 6 with primer, but even so 6 hours isn’t great. I guess that for £3, there’s not too much to complain about and they’re a good place to start with eyeshadow pencils if you’re not ready to drop £17 on a Clinique one. Just remember, it’s true what they say that you get what you pay for! 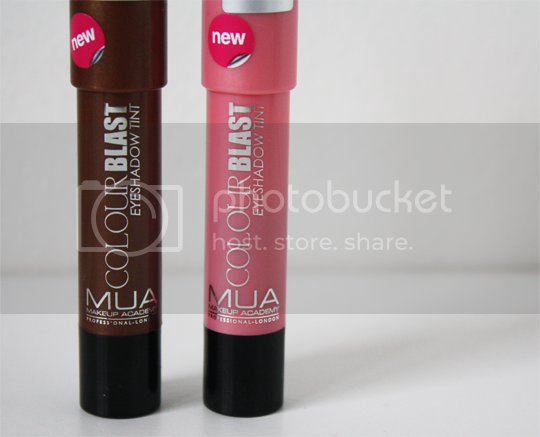 MUA Colour Blast Eyeshadow Tints are available in Superdrug stores and online now. 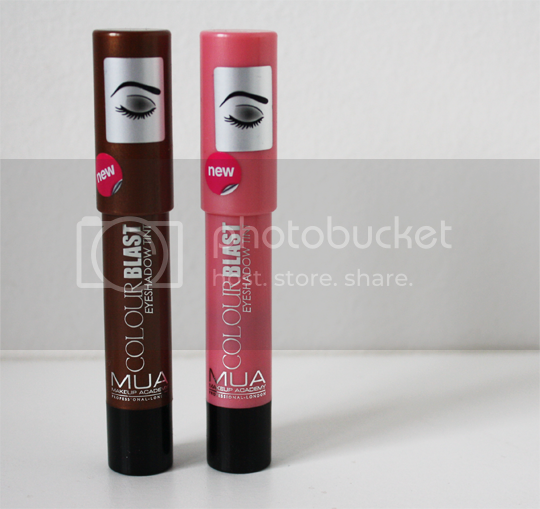 I saw these in Superdrug the other day but didn’t know whether I’d like them as much as I appreciate their take on the chubby sticks – so I’m glad you did swatches and thoughts!